By cultivating fruits and vegetables in community gardens, planting flowers and herbs on the balcony or greening the own four walls with potted plants or cut flowers, the modern urban dweller tries to compensate for his lack of experience of nature. 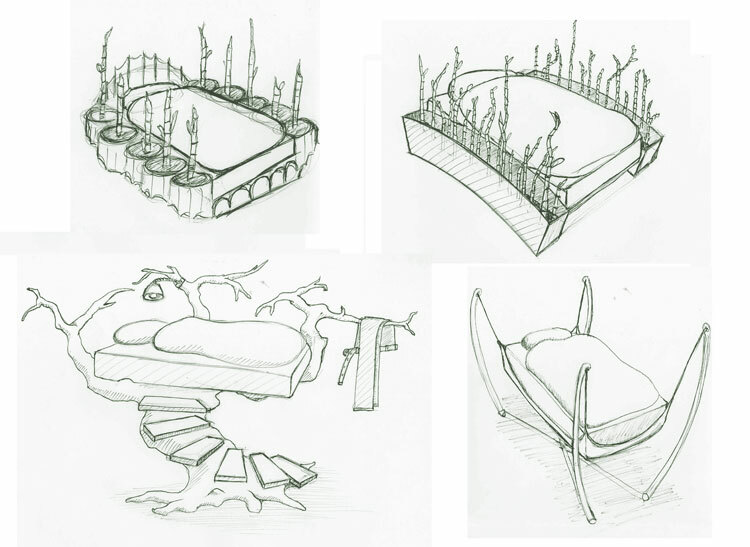 «Vert-tige» provides the opportunity to sleep in the green, even in urban environments where green space is extremely rare. Specially adapted easy-care indoor plants are set into a hydroponics recipient fixed at the rear side of the bed. The twiners wind around the stainless steel archs and give rise to a green roof. 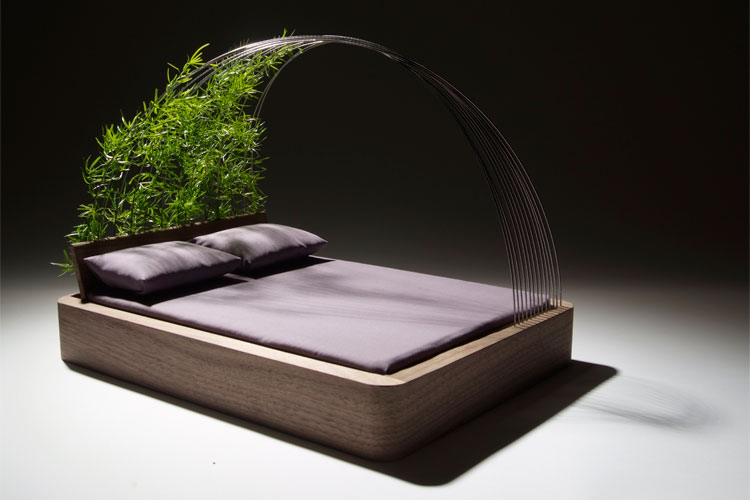 In addition to the aesthetic qualities of the plants, their subtle scent, the rustling of the leaves and the increased air purification and humidity have a positive influence on sleep and well-being.